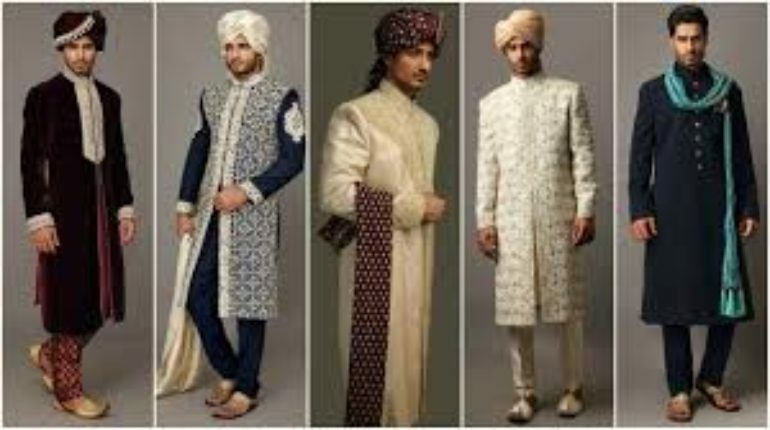 Just like the bridal dresses wear, there are so many latest trends that are being view into the groom wear dresses designs too. 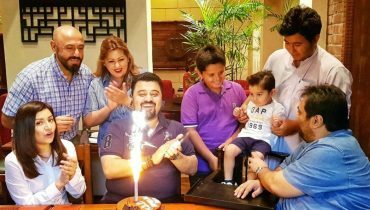 On the main wedding day, the grooms normally favor wearing the sherwani designs that adds a graceful and well groomed outlook in their whole personality. 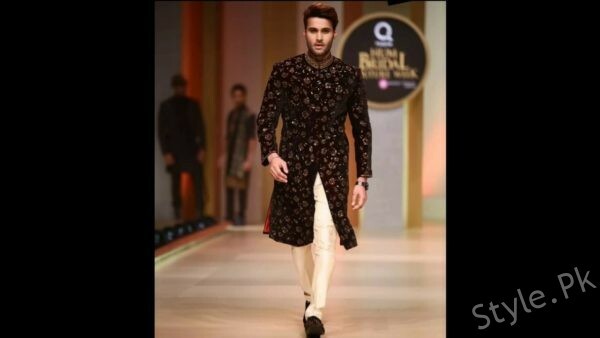 If you would search around you will be finding so many latest trends and styles coming all the way in the sherwani designs for the grooms. 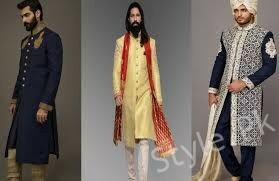 It is a complete traditional wear worn by many on their wedding day. 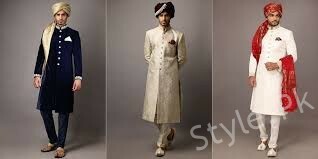 In so many years it has definitely gone out of fashion because most of the grooms favor wearing the suits on their main wedding day. 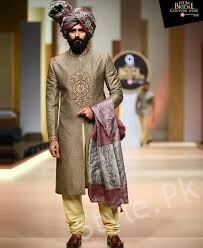 Nowadays sherwani’s are coming in the way of so many different varieties of colors and different trendy styles for you. 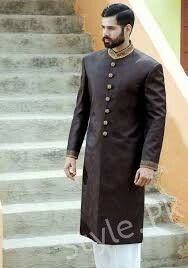 It is all put together with the needle and stone work on it to make the Pakistani groom dress look very attractive. 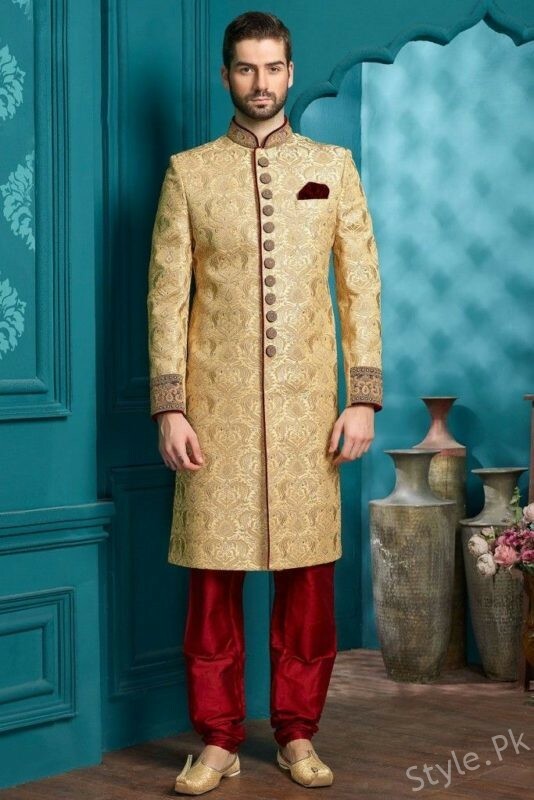 If we talk about the styling work of the sherwani stitching, then it is all done through the finishing of the coat that is all extending as down till the knees or sometimes even lower too. 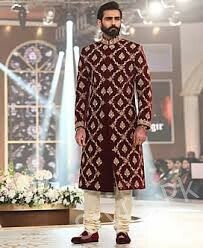 It is one of the traditional garments that are worn in the South Asia as especially in Pakistan weddings. 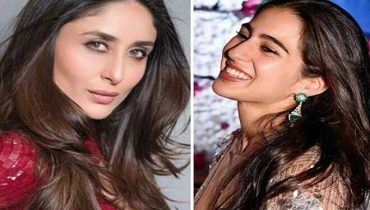 It is worn as on top of the kurta being the loose shirt that also reaches till the knees. 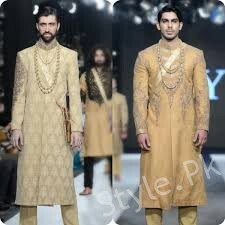 A sherwani can be paired with the pairing of the churidar, khara pajama or a shalwar. 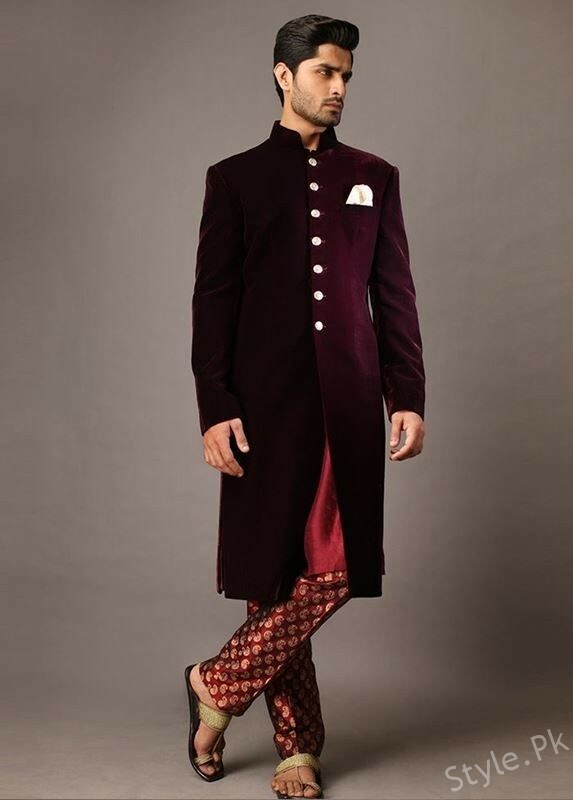 Sherwani designs are available in so many different colors where we have the options of red, maroon and golden as to be comprised of the most popular colors options for sherwanis for the Pakistani groom. 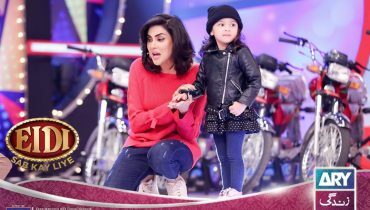 You should always look for the sherwanis that are suitably according to your men style and so as according to your age too. 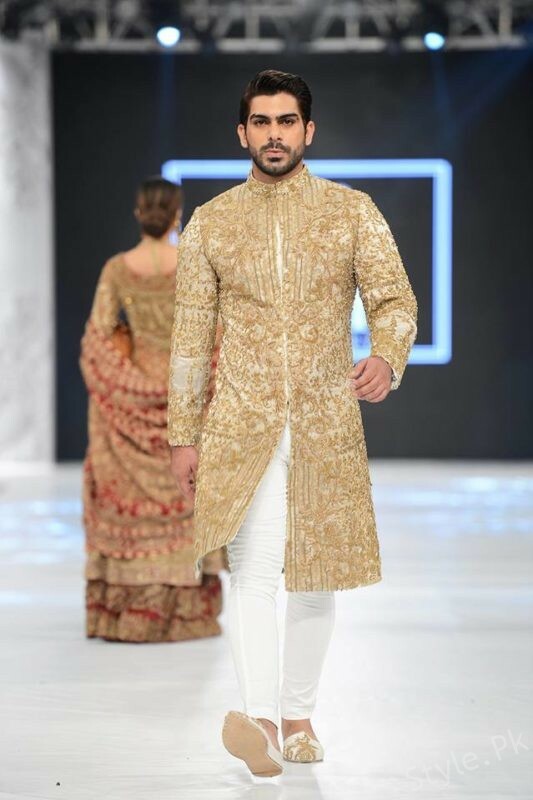 If you are getting married soon, then just scroll down and catch some amazing and best trends of groom sherwani designs in Pakistan fashion world!